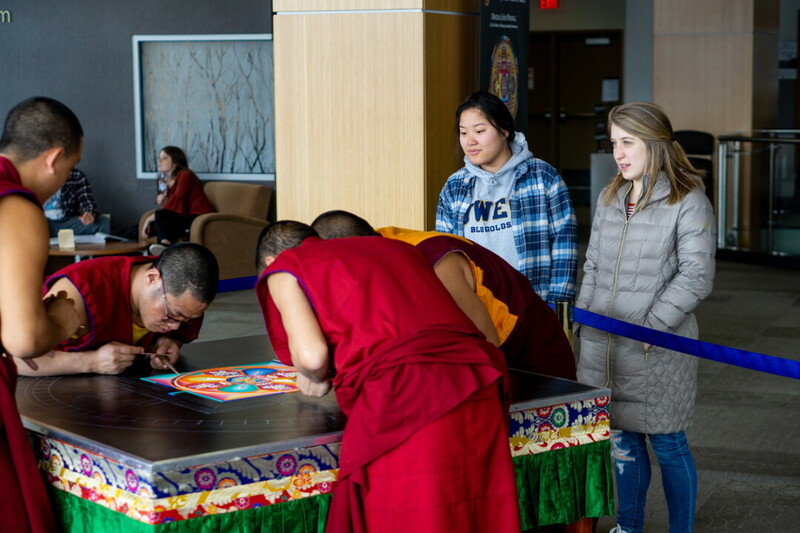 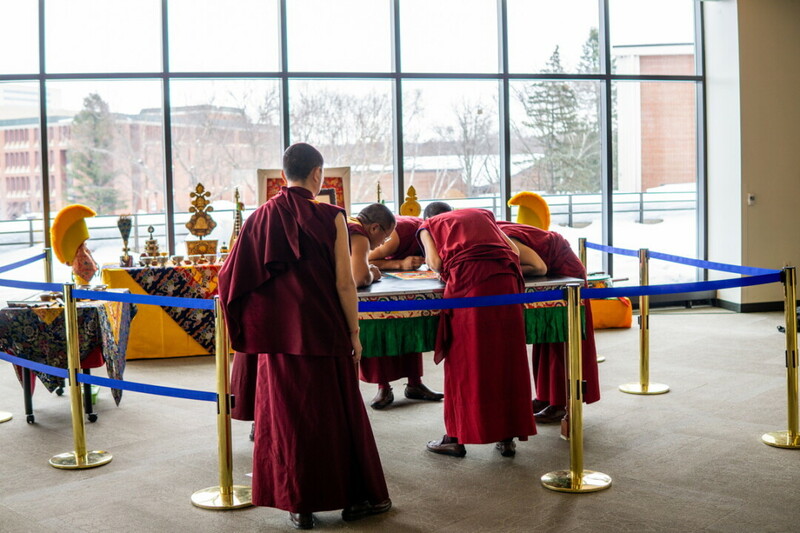 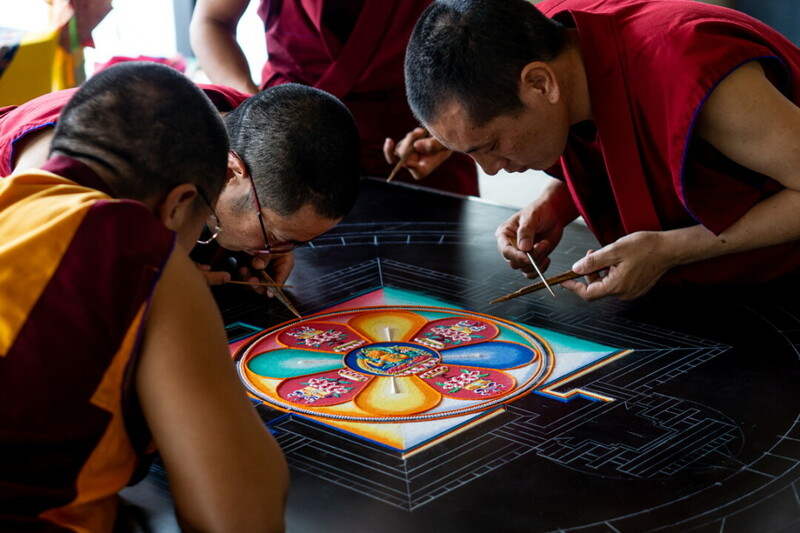 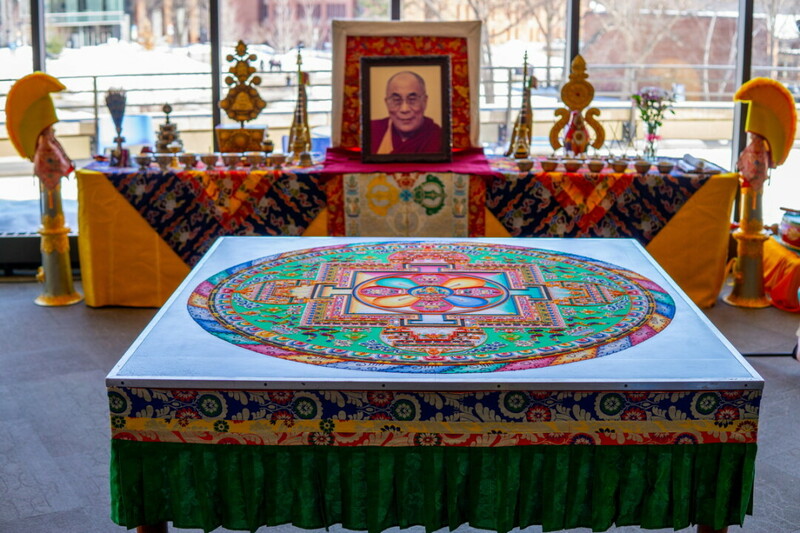 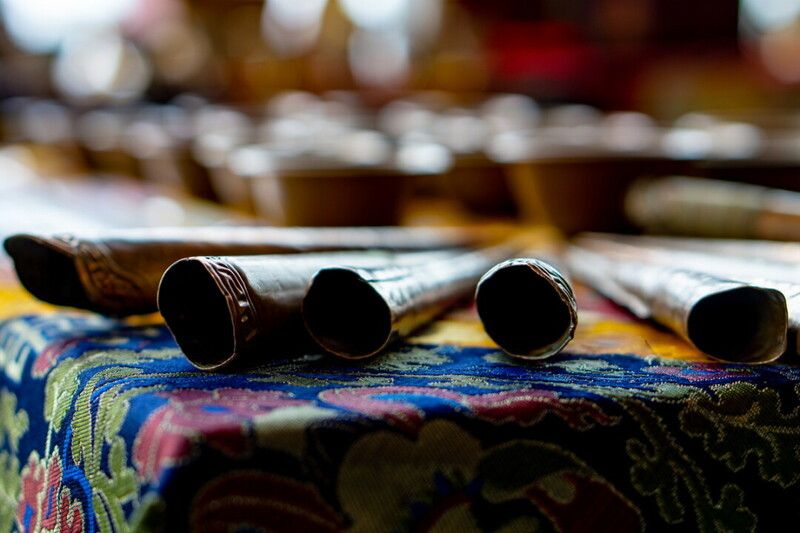 The monks of the Drepung Loseling Monastery visited UW-Eau Claire from March 11-15 (2019) for an artist residency that included creating and removing an intricate sand mandala, lectures on Tibetan culture, traditions and beliefs, and a sacred music and dance performance. 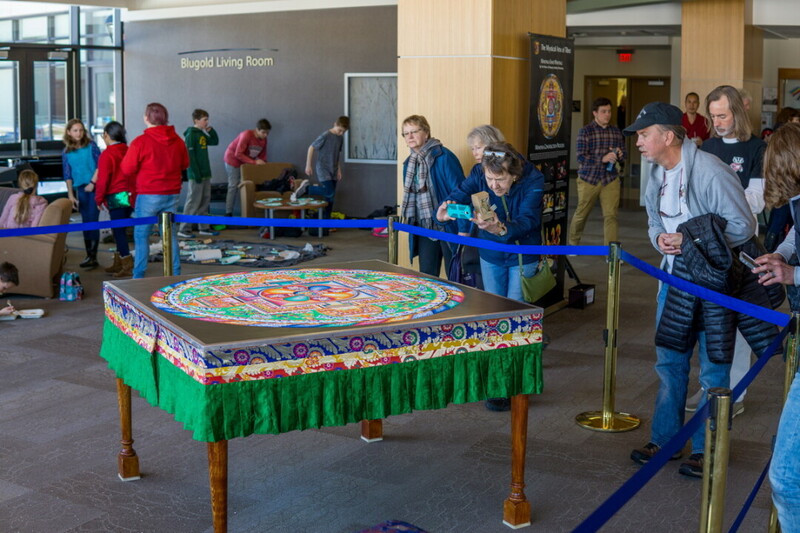 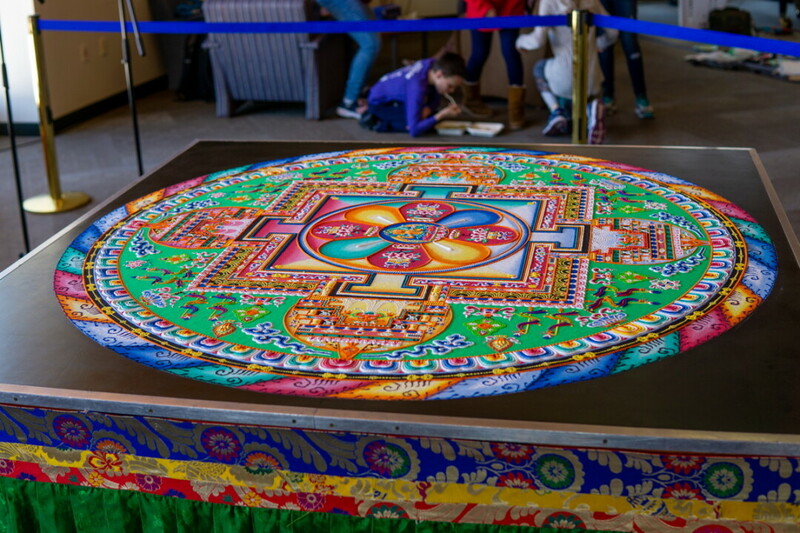 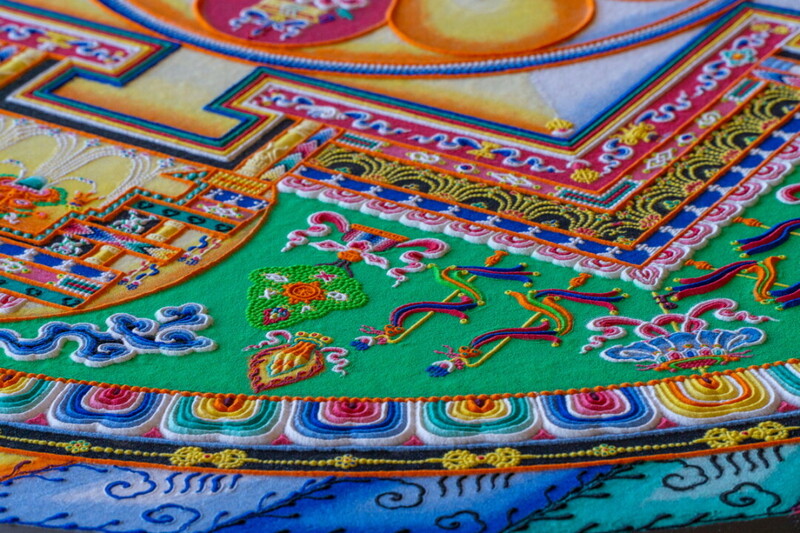 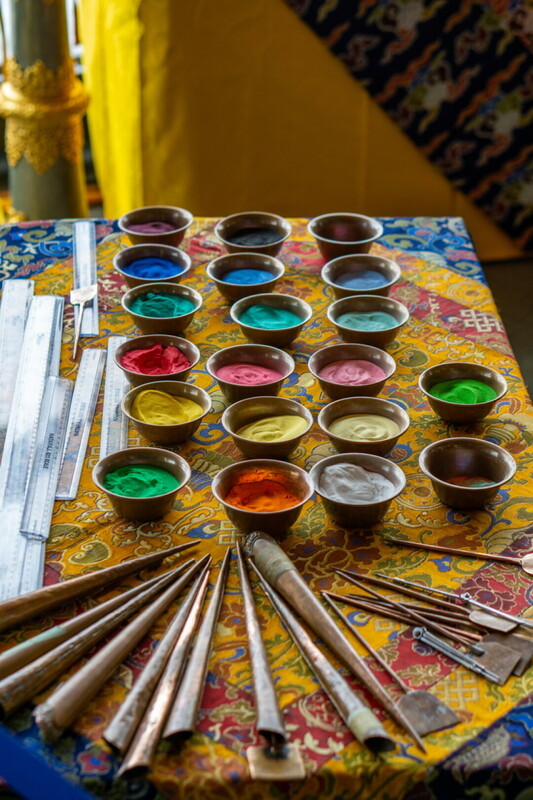 For the sand mandala, attendees watched the monks painstakingly lay down millions of grains of sand to create the pattern. 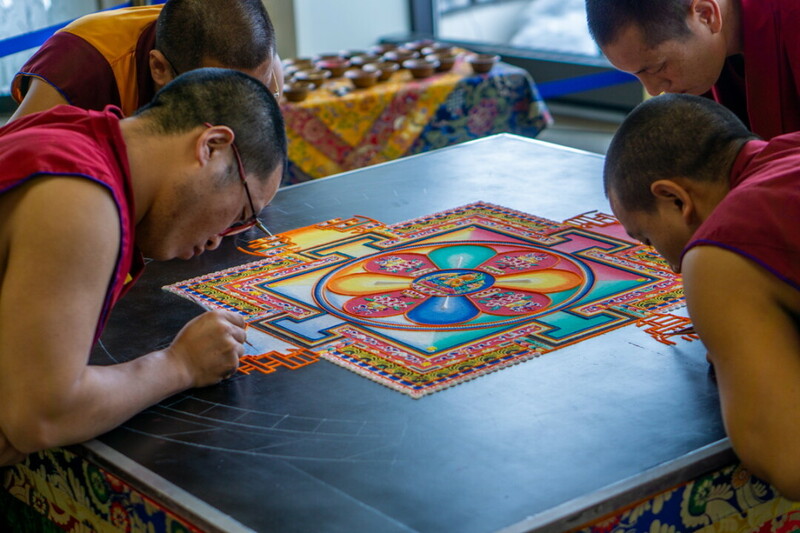 The days-long process began with an opening ceremony and ended with a dismantling of the design and a ceremonial distribution of the sand back into the earth—symbolizing the impermanence of life.